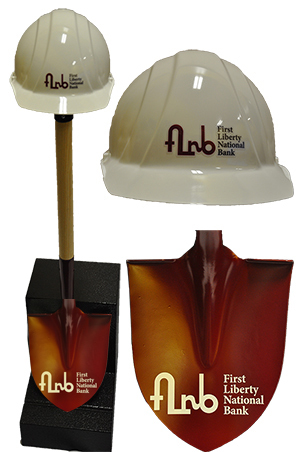 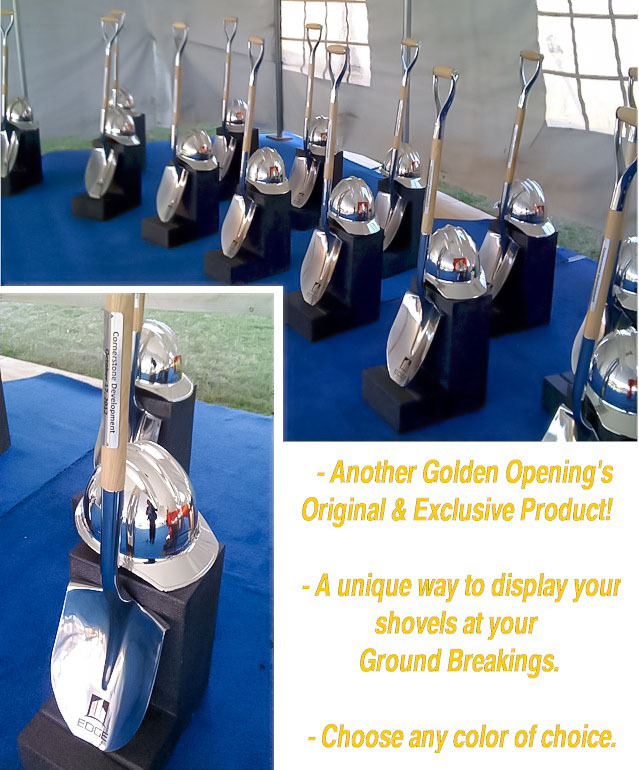 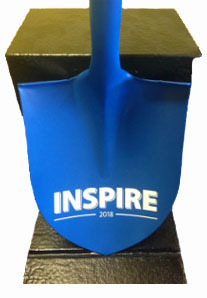 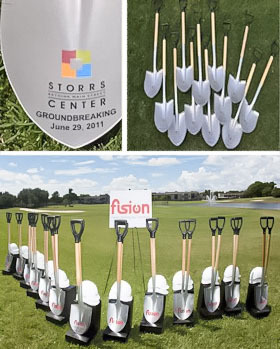 This is our latest and greatest shovel and hardhat display piece - exclusively found at Golden Openings. 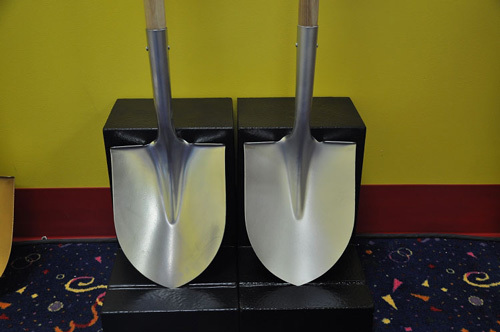 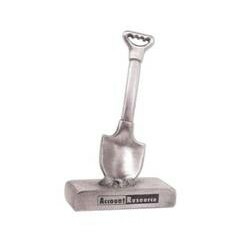 These are custom made to proudly display your ceremonial hat, a shovel of choice and more at your event or after the ceremony. 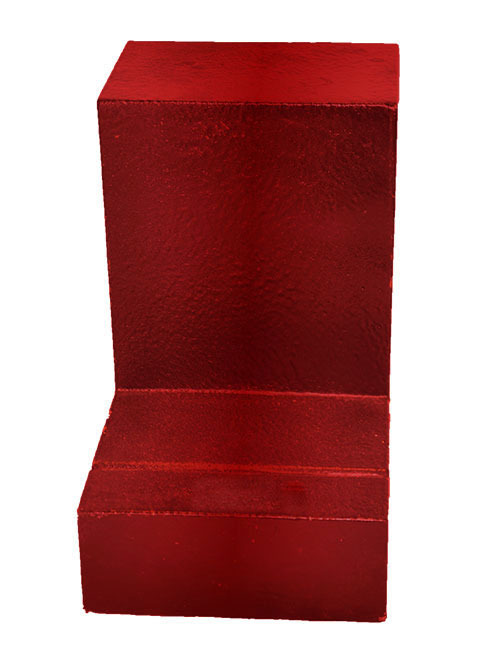 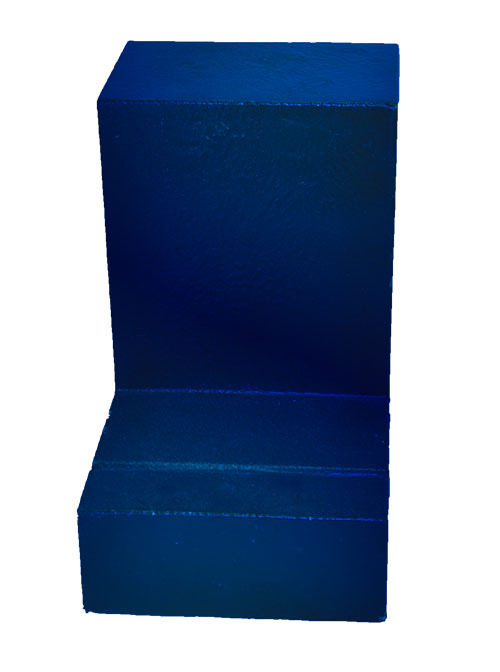 These stands are made from hard foam with a black paint coating and can be painted in the custom color of your choice. 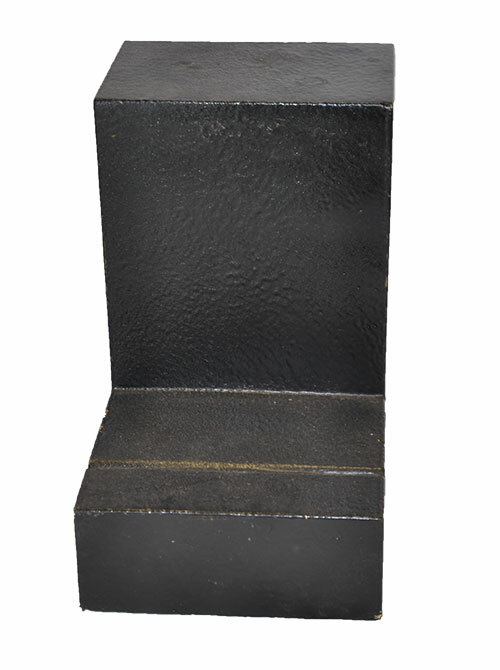 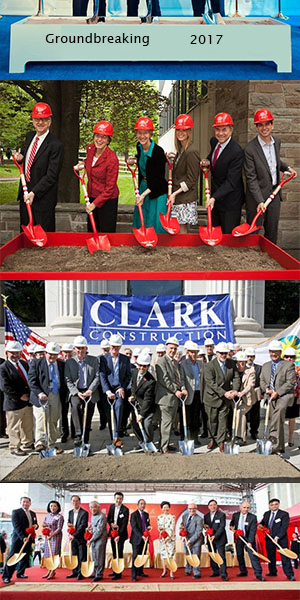 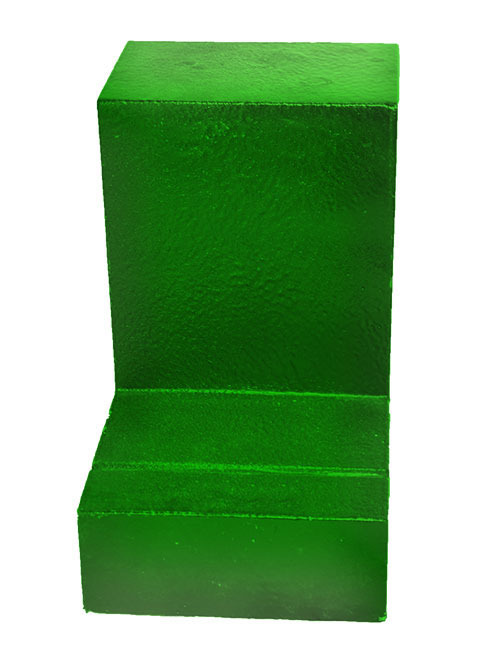 Stand measurements are 15" x 10" x 15"
Due to conditions and groundbreakings involving unstable ground and outdoor weather elements, we highly recommend adding a piece of industrial strength Velcro to the back of the shovel and front of the shovel base to ensure the shovel won’t tip or blow over. 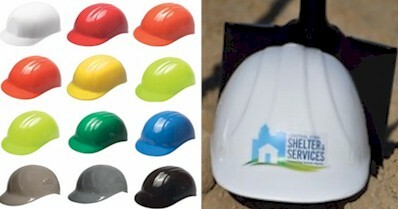 We match or beat any price, call for bulk pricing.